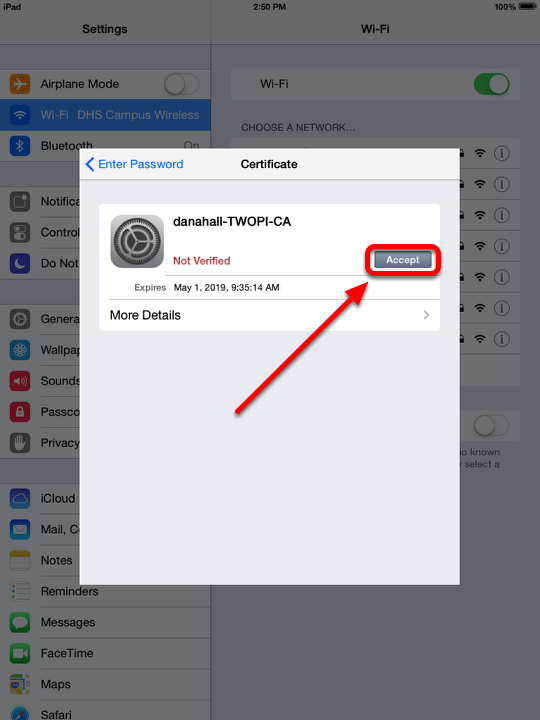 This will walk you through the process to connect with an iOS device to the WiFi network on campus using your Google Apps account . 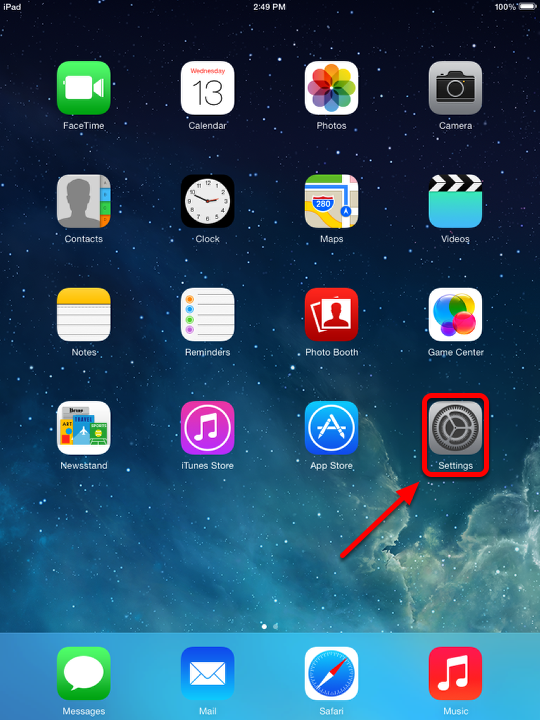 Tap settings from the home screen of your iPad. 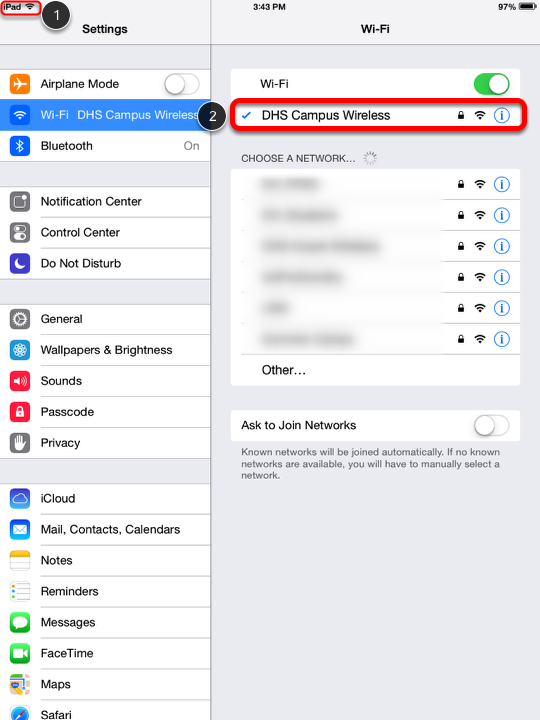 After selecting the “DHS Campus Wireless” network you will see a pop-up window asking for a username and passwword. 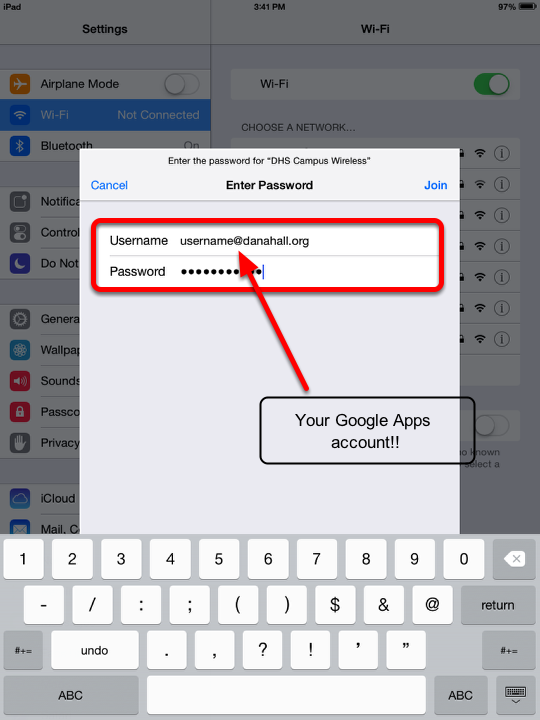 Enter your Google Apps username and password, which is the same login for GMail. Tap Accept when you see the certificate pop-up. 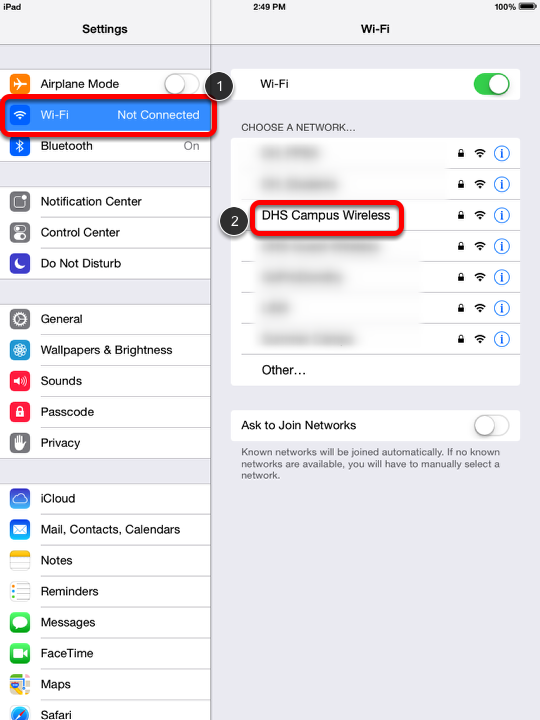 If you see (1) the WiFi symbol on the top left corner and (2) “DHS Campus Wireless” listed on the top of the network list then you have connected to the network! Success!